Listography at Kate Takes 5 this week is mugs... of the drinking variety. In my strive for the perfect contents for the perfect kitchen we had fitted when we lived in our previous house, I went out and got a collection of mugs, that all sort of matched. 1. My Mr Bump mug captures a family memory. As children we each had a place mat and matching flannel (I have no idea!) which was ours. Whilst my brothers had Mr Strong and Mr Tickle, I had Mr Bump, I am not sure of the link with my mum calling me 'Calamity Jane' throughout my childhood. 2. My Little Miss Lucky mug is something I bought when I had my first job, it came in very useful at my second job where the coffee machine gave 1/2 cup measures- this cup gave the impression my cup was always full. 3. My mum gave me this cup, probably in 1999, the year I moved to England, as a piece of my heritage When giving it to me she stressed how expensive it was. To this day, she is the only person to have used it, I guess my reluctance goes back to Mr Bump. 4. This was the set of mugs I bought on the way to meet the removal company when we moved here- having heard that you need to ply the team with tea and coffee. Now it is this set of mugs which the hubby uses to make me a coffee in the mornings. This is my favourite, not because it is a great mug (it is, but that's not the point). When I moved in with the OH I had two perfect mugs, one was a really long mug which I used for coffee in the mornings, the other a normal mug for afternoon coffee- Can you see how stuck in my ways I get! He managed to break them both. This mug was the replacement, its nothing like the mugs he broke, but it still reminds me of my flat, the first place I bought of my own- oh yes, once upon a time, I was independent! Pop along to Kate Takes 5 for more mug stories! I like the Gordian Knot best - is it a Gordion Knot and I'm not sure of the spelling? Those mugs are sure full of memories! Love the Mr. Men ones. 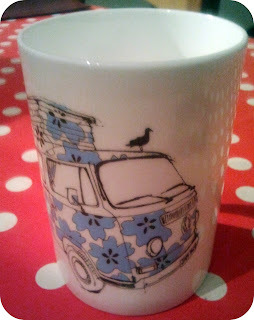 love the VW bus one :) Love that your hubby makes you coffee in the morning! 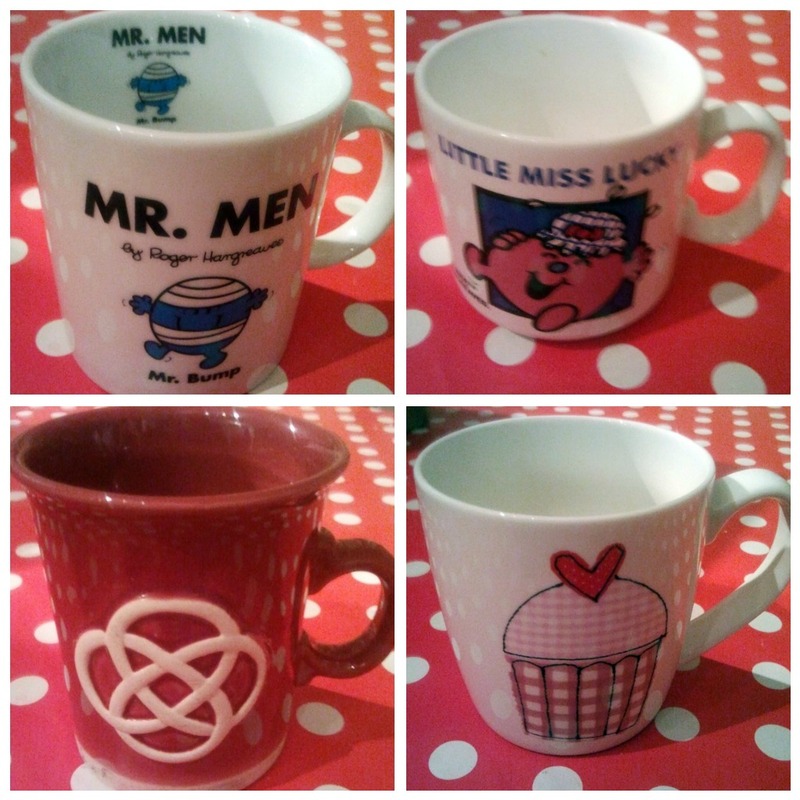 Love the Mr. Men mug, that's so cool.